The Cell theatre on West 23rd is truly an invention. What the production teams do with this sliver of a building is always a surprise, moving chairs to suit the staging, having actors exit on what was part of the original staircase, and creating top notch video projections to enlarge the vision. With Founding Artistic Director Nancy Manocherian and Director Kira Simring, everything is well thought out, and usually accompanies work that is something of a political investigation. When Act One of McGowan Trilogy began, I realized I had seen it before. A few years back it was produced along with a play by Larry Kirwan. I remember believing that production better than the present Act One of this show. Perhaps the shock value of the situation was lost for me having seen it before. We find ourselves in a private IRA drinking club, when an obnoxious interloper demands to be let in through the locked gate. Madman killer Victor McGowan, a young genius of an IRA hit man, seemed more authentic in the original show. Paul Nugent as the psychopathic thug, though highly competent, seemed to be directed to be hopped up on cocaine, more fitting for a Tarantino movie than as a member of the revolution. He was such a campy hothead, that I wondered why he was permitted to have so much power in the group. Surely, someone would have put the reins on him before the moment that’s presented. And Pendar, the elder statesmen, loses his superiority in the situation much too quickly. He’s referred to as being over the hill, but as played by Philip Callen, looked young enough to give back as good as he got. Matt Golden as the traitor was so quietly true that the other acting styles seemed at odds with his. Still, the truth that violence leads to more violence is well illustrated. This club with its paranoia could be ISIS or Boko Haram. No matter how committed to the cause, players eventually lose trust in it and each other. The playwright Seamus Scanlon does his best to temper the violence with dark humor that sometimes hits home, like the Titanic joke, but some re-thinking might help with others not as funny. In Act Two, our same thug now has to off an ex-sweetie. At first it’s unclear whether he’s liberating her in the forest but we soon discover that he considers her a traitor. McGowan is so less peppered in this scene that I imagined he had been getting therapy in the intermittent months. I didn’t fully buy their history of missed loved, but Anna Nugent‘s fear of not being discovered in The Long Wet Grass is one of the most poetic parts of the play. Act three deals with McGowan’s face off with his mom nicely played by Cindy Boyle. The video projections and sound design are terrific. This being the month of peace vigils across the globe, like so much of The Cell’s excellent work, The McGowan Trilogy has timeliness on its side as well as a call for redemption. The play runs through to October 5th. While waiting for my physical therapy appointment at the Rusk Institute, I found myself eavesdropping on a lady speaking rather passionately into her cell. I really listened hard when , when I heard her mention John Lennon. Given that I’m working on a film about the same, I waited until she was finished before jumping up to query her. Of course, Lennon was mentioned along with the song Imagine… Rev. 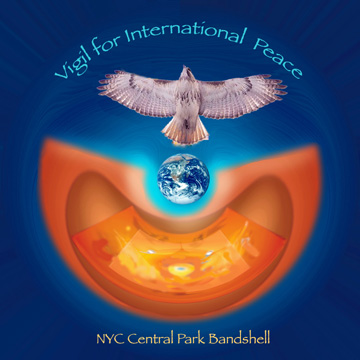 Susana Bastarrica, the founder and organizer of the Annual Vigil for International Peace and Ecology, a peace event held every year at the band shell in Central Park was busy on the phone setting up the event. This year is the 13th Vigil and it’s coming up on Sunday, along with the March for the Environment. The Vigil offers up an opportunity for people to think about peace as a true possibility. When groups come together be they over me ala John Lennon, or peace, the energy is that much more powerful. The idea is to promulgate peace through music, art, poetry, dance and prayer. When you activate the higher chakras through the muses, anything is possible. 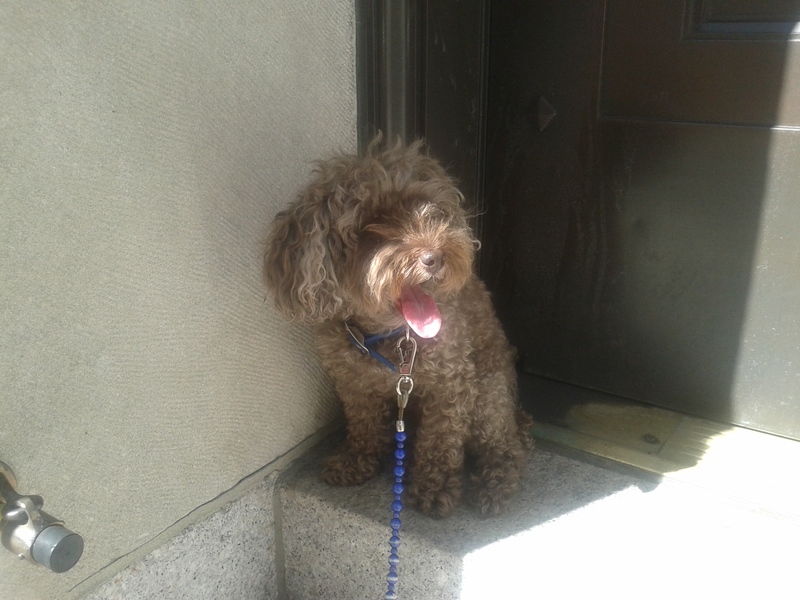 Susana anticipates this to be the biggest vigil for International PEACE and ECOLOGY ever. On Sept 21 there will be global synchronized meditations taking place all around the world, with organizations like Peace One Day and climate events. The Vigil team asks everyone to join and bring friends and family to this free event. They invite you come and share the spirit and dreams of Peace with people from all over the planet. In a climate of increasing conflict with global horrors offered up on a daily basis, surely this day is an antidote for all that…and perhaps, just perhaps it will be much more. Perhaps, this is good medicine, not a placebo, but the real deal. If enough of us can stir, wake up and say NO, we don’t want that…but YES, we want peace and a balanced environment … if we say YES loud enough, together, and sing it out…most assuredly the gods and goddesses will finally hear. The Irish deserve their reputation for being the greatest storytellers. And an actor who spits is usually very, very good. From what could have been a simpering complaint tale about the growth of suicides in his hometown, Pearse Elliott has created a wonderfully layered picture of one man’s life on the council estates of Belfast and the demons and angels that fill his imaginative head. As played by the most amazing, Ciaran Nolan as Sean Doran , we are on a trip — travelling through smelly bogs, to a day in the life of a roaring lion and his pride to a movie premiere with Brad Pitt—all of this in only an hour and fifteen. 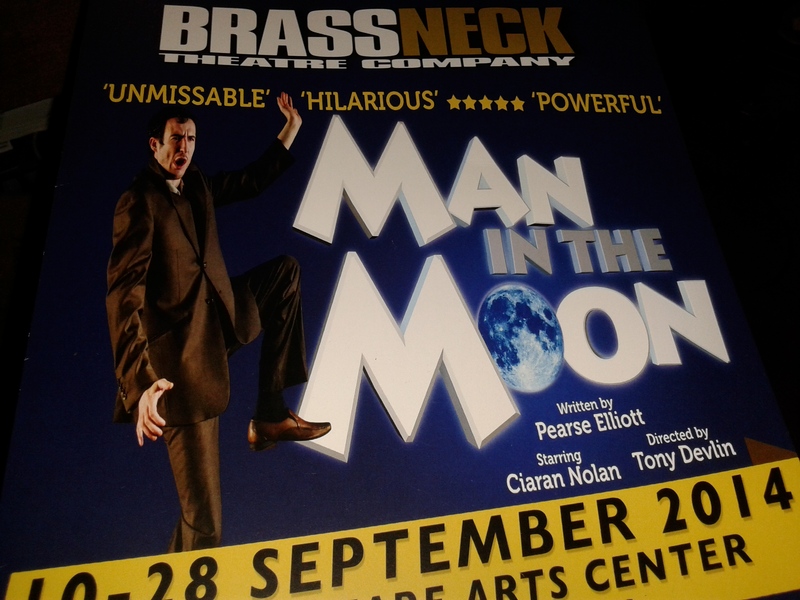 This one man’s show produced by the fantastic Brassneck Theatre Company and directed by Tony Devlin, swept them away in Edinburgh and will do the same for you if you can get over the thought that you might not understand the accent. This is Belfast…this is today…with all the sense of loss that a perpetually poetic country can offer. There is something really noble about having terrible experiences with love and jobs; you build if not character, an absurdist view that this author has in pounds. If I have one bone to pick, it’s the tie in of all the suicides…I wanted to understand that they were economic based with a dash of war wounds. But when he throws in a Gazelle…a jogger from the upper classes who takes his fancy and who also perishes by her own hand, I am set adrift. Obviously, people don’t off themselves just because of a laundry list and rich people are miserable as well as poor. But something about the landscape Mr. Elliot created in the top of the play felt right for keeping it in the realm of the caste system… in this case, council estates. But that’s a small criticism for an otherwise wonderful production. Mr. Elliot is a feminist whether he knows it or not and yet the story of the online monster who shows up at the Sean’s door, is as awful as any man on the prowl but as played by multi-accented Mr. Nolan, much, much funnier. All involved have wonderful credits. Go to the show, read the playbill. Or just take my word. This is a beautiful piece of art. Sorry, Joan, the Script didn’t get there in Time! Forget doctors — forget lawyers. How many lives could have been saved if only my screenplay had gotten into the right hands in a timely fashion? A fellow writer and I were discussing our feelings of personal responsibility in light of the recent deaths of so many beloved performers. Is it insanity, hubris or wisdom to actually believe that the work we created with star players in mind might actually have altered their lives…. if we had only known how to get to them? Obviously our own stalled careers might have shifted, but when you put your heart and soul into projects that really seem destined for a particular actor, isn’t that a powerful calling? I loved Joan Rivers and after seeing the Joan Rivers..A Piece of Work, I loved her even more. In the documentary she complained about not being offered substantial film roles, so I bit. I took the character of Brooklyn bagel mogul Morris Levy from McLevy’s Ghost and rearranged the hormones… Ed Asner had suggested a strong interest in playing the role, but the film hadn’t moved forward despite his great talents. Now with a tough talking Rivers as the conflicted capitalist who moves to Scotland to expand bagels and live in her own castle, it was a shoe in. A Lairdess with no lard! But how to get to her? Eventually, a friend knew someone who knew someone and so forth and I sent the script out. Somewhere in transit, the reader didn’t feel it was right for Ms. Rivers and passed. So me and the rest of the deprived world never got to see how deftly she could have added her comic charms to this Highland romp? What a shame… the blonde mouth leading a dance of Hava Nagila with the Druids… perhaps she could have been filming in Perthshire this very Autumn,dealing with good Scottish medicine or not even needing a doctor because she was being creatively satisfied. I went through a similar obsession with Heath Ledger for the very same project. As anthropologist Andrew McTavish, posing as a valet for reasons only he and the audience would know, Mr. Ledger could have used his knack with accents and physicality to great joy for him and us. And who could do copious amounts of drugs while working on a film set? My therapist would call this guilt another delusion but I see it as something else…T.T.P.V. –thwarted theatrical psychic vision. It is so much more than wish fulfillment. A writer spends years with a character and if not drawn from real life, is imagined with someone from the world, someone who could breathe life onto the page. Show biz cynics would reject this theory out of hand and talk only box- office. I say fye on that! The writer is Dr. Frankenstein, giving new life to old bones…and when the fusion works, it’s alchemy. A popular actor who doesn’t fit the skin of the character might not be successful. But a role that fits like a glove or even a mitten… then at least you’ve got a good synthesis of type and character. My writer friend spent years trying to get work to Richard Pryor. Someone else I share groupons with tried to place the perfect song with the perfrect voice… but the plane went down just when the connection was about to happen. It’s reverse kismet. Now, sadly it’s too late for me to work with Ms. Rivers, Mr. Ledger, Philip Seymour Hoffman or Mr. Williams about a small play idea. But Scotland is hot what with elections and such so please, Hugh Jackman, Alec Baldwin (Levy made younger, Al, don’t worry), David Nighy and Judy Dench…. Hurry the hell up. This project just might be a life saver. Cabaret performance is so intimate. The audience is practically nose to nose with the singer. There are no fuzzy barriers between you and who they are and what they deliver. The lights come up and it could be so easy to start judging…from the rhinestone to the Botox to the tattoos…the visual is the first line of acceptance. But once you’re past the superficial critiques we’ve all been trained to throw out since film and TV lighting have given us a more illusionary view of performers, it’s just what they sing and how they put across a song that counts. That’s why cabaret is so great…to experience a myriad of ways to interpret music. The great hold out in a town where so many cabaret joints have shut down, The Metropolitan Club preps for its fall season by offering tastings of what’s to come. If you like a performer, you can come to their shows later in the month. At Wednesday night’s show, produced by Joseph Macchia and Bernie Furshpan, the audience had quite a buffet to choose from. Raven O has an alluring voice but would have benefitted from less personal material. He was singing a love song to his husband, a nice gesture, but one that didn’t come off, because the song was lost in the over dramatic emotion. Gorgeous redhead Maxine Linehan who has played Nancy in Oliver will be performing her show ‘Beautiful Songs’ for the first time at this venue. She is an authentically charming actress, with a rich powerful voice and has chosen material that sticks in the unconscious. Devin Bing, adorable and at 29 could has the energy of Harry Connick, Jr., a bit of the vocal quality of Justin Timberlake. He and his drummer really shook things up with their jazzed up standards. His Miles Davis trumpet, simply made with his mouth was freakily good, though I’d much rather hear him just sing and play that crazy piano. T.Oliver Reid, sang a number of his show “Drop Me Off in Harlem’’ and I can’t wait to see the whole evening as he club hops with us to the music of Arlen, Ellington and more. 1934 uptown comes downtown and he is a great time travelling host. The final singer for the evening Luba Mason is a force of nature. From the moment she hits the stage, you feel the pulse…hers and yours. Her debut was in The Will Roger’s Follies and for the Metropolitan she brings a small band to back up her powerful chops. She goes deep and we want to dive with her. I would not hesitate to spend an evening with any of these performers. It’s upfront, personal and one of the best theatrical pleasures going.